If you want a successful and fulfilling life then you need to look after yourself. It’s as simple as that. Self-care, real worthwhile self-care, is one of the biggest secrets of successful people. Yes, of course, you need to work hard and take risks. But if you don’t look after yourself, then you are not able to take advantage of opportunities when they come along. Take our Self-Care Assessment Quiz to see what areas you need to develop new routines to take better care of yourself. 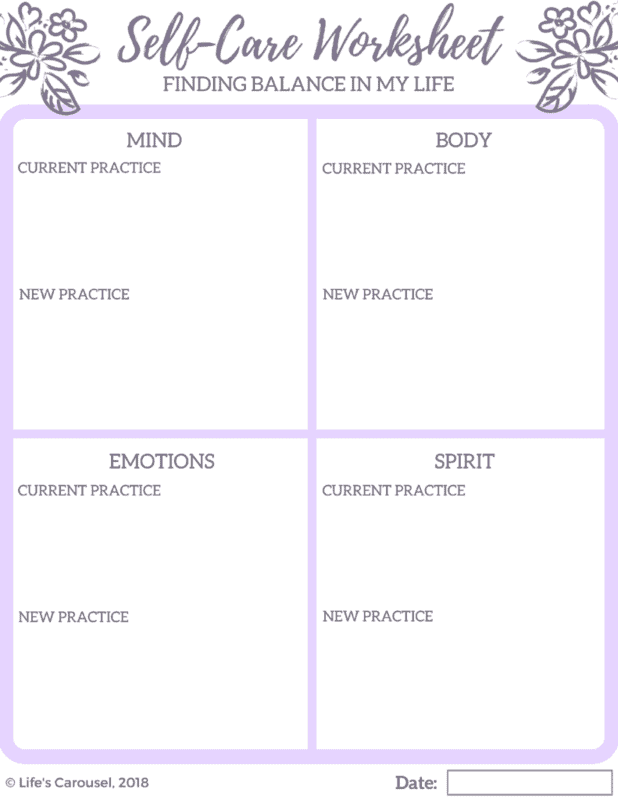 The Self-Care Worksheets below will help you examine your current self-care routines in each area and then plan new ones. From the Self-Care Assessment Quiz, you know which areas of your self-care need the most work. Concentrate on those areas first and then slowly examine all the different areas.